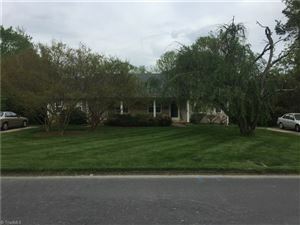 Greystone in Asheboro NC is a classic community located just east of downtown Asheboro. The neighborhood offers an eclectic variety of housing options ranging from Traditional to Art-Deco. Most homes are brick, accented with Colonial and Mid-Century features. The neighborhood is close enough to walk to the growing and vibrant downtown. It's a pretty place to live, with classic American mid-century homes in a tree-lined, rolling hill setting. A great place to go for a run or walk the dog. Greensboro is only 40 minutes away via I-73 and the Piedmont Triad International Airport is a 45 minute drive. The city of Asheboro is the Randolph County seat and major civic services can be found there. Asheboro City Schools are offered to township residents, separate from the greater Randolph County School District. The school closest to Greystone which are all A-rated schools, are Lindley Park Elementary School, South Asheboro Middle School, and Asheboro High School. If you’re looking to purchase a home in a beautiful, friendly community, Greystone is perfect for you!